If tablet devices and Android 3.0 are hogging the limelight at CES 2011, new mobile phones aren’t far behind. We’ve seen a flurry of new handsets that, technologically speaking, outclass the iPhone 4, Samsung Galaxy S andHTC Desire HD. Which one of these do you fancy? Also available in a Windows Phone 7-powered ‘Pro’ version, the new Venue keyboard-less Venue brushes the big screen/aged Android silliness of the Dell Streak under the carpet. This good-looking Android 2.2 phone features a 1GHz processor, a sensible 4.1-inch AMOLED/Gorilla Glass display and an 8MP camera. The Optimus 2x was actually announced pre-CES, but we’ve had a chance to play with this ground-breaking dual-core smartphone on the show floor. It’s the first phone to feature Nvidia’s Tegra 250 processor, which incorporates ARM’s Cortex A9 CPU. With a 4-inch WVGA touchscreen display, 8MP digital camera and 1080p video capture, what’s not to like? 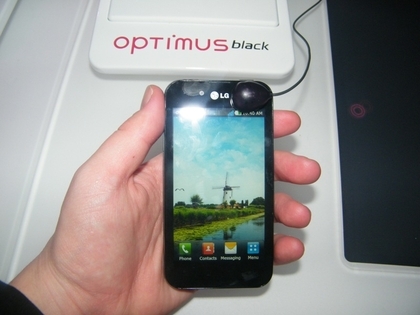 LG also unveiled the Optimus Black handset at CES, which lacks the dual-core grunt of the 2X but makes up for it in other areas. For example, this handset is a mere 9.2mm thick, beating the iPhone 4 for skinniness. It also features what LG calls a NOVA display, a 4-inch touchscreen that claims to be more efficient than Super AMOLED. While Motorola has grabbed CES headlines with its Xoom tablet, its Android 2.2-powered Atrix smartphone could be a pocketable force to be reckoned with. Like the LG Optimus 2X, the Atrix is a dual-core handset with 1GB of memory, up to 48GB of storage, front and rear cameras and a stunning qHD (960×540 pixel) display. 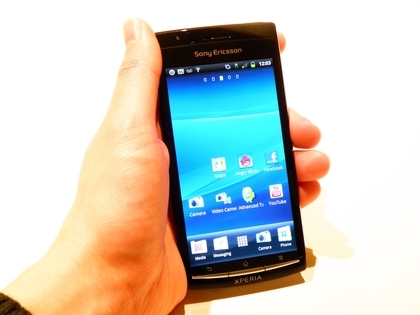 While we wait for some more solid information about Sony Ericsson’s ‘PlayStation phone‘, the new Xperia Arc looks to challenge the smartphone elite. Forget the ho-hum X10 and X8 models, because the Arc features Android 2.3, 8.1MP digital snapper and an eye-catching 4.2-inch ‘Reality display’ with pixel processing courtesy of Sony’s Mobile Bravia Engine. Despite ViewSonic’s attempts to call it a ‘pad’, with its 4-inch screen the ViewPad 4 is small enough to act as a smartphone. The problem is this: ViewSonic has equipped it with technology from 2010 rather than looking ahead to 2011. So you get a 1GHz processor rather than a dual-core one; a 5MP camera, not an 8MP lens. Excitement factor? Very close to zero. Along with Samsung, Apple and Motorola, HTC is one of the hottest mobile manufacturers on the planet and it’s unveiled several new Android 4G phones for the US market at CES. There’s the unremarkable Evo Shift 4G, which features an 800MHz CPU, 3.6-inch display and a slide-out QWERTY keyboard. The LTE-friendly HTC Thunderbolt sounds more impressive. 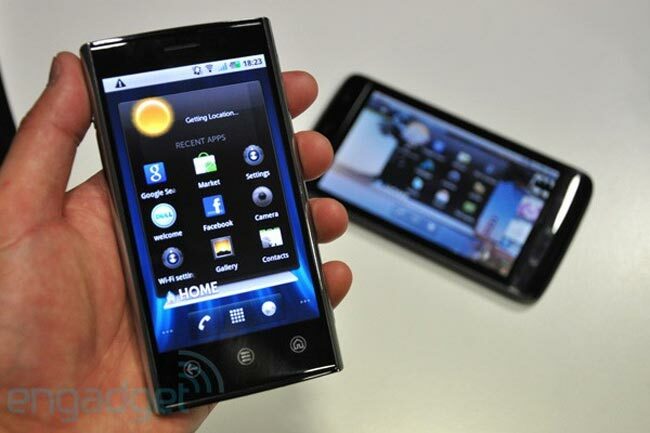 It boasts a 4.3-inch WVGA screen, Android 2.2 and Skype video calling built-in. Lastly there’s the HTC Inspire 4G, which features Android 2.2, a 1GHz Snapdragon chip, 4.3-inch WVGA display and an 8MP digital camera. 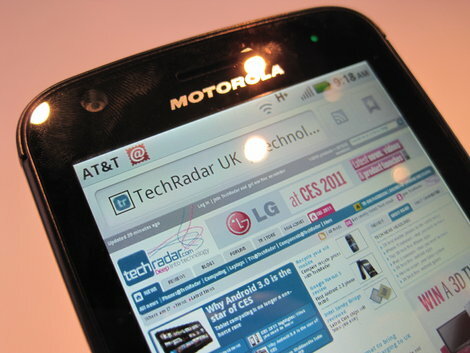 Although never released in the UK, the Motorola Droid X has long been one of the best (and biggest) Android phones around. The new Droid Bionic model ramps up the specification with Android 2.2, a dual-core CPU and a 4.3-inch qHD display, 8MP camera and 4G/LTE connectivity. This is another 4G phone for the US, but notable for its brand-spanking-new 4.5-inch Super AMOLED Plus display that blows Super AMOLED right out of the water. It might not be a dual-core monster, but the 1.2GHz Hummingbird chip is still nippy. Add to this an 8MP rear camera and front-facing 1.3MP lens for video chat and you’ve got an impressive mobile on your hands. The launch of the dual-core LG Optimus 2X and the Motorola Atrix make the iPhone 4 feel a little… well, a little oudated if we’re honest. And if the iPhone’s speediness is being eclipsed, its Retina Display is being challenged by Samsung’s Super AMOLED Plus, Sony Ericsson’s Reality Display, not to mention the qHD displays on the Droid Bionic and Motorola Atrix. Time for an iPhone 5? Absolutely. Find out what it could feature by reading Technism Today’s iPhone 5 rumours.